There is no charge for your consultation, no matter how long it takes. An average consultation would usually take approximately 30 minutes. On arrival, you will be greeted by a friendly and professional member of our team. Your consultation will be private, on a one to one basis with your personal consultant. We aim to ensure your total privacy throughout your visit. All our hair replacement procedures are carried out by our most senior and highly experienced hair replacement specialist, who has over 23 years in-house experience in Non surgical hair replacement. You will be amazed at how effective our hair replacement process is. The length of time taken to carry out your hair replacement procedure depends on many different factors. It can take anywhere between 2 to 3 hours to complete the process. Your hair replacement procedure will be carried out in your own private room. 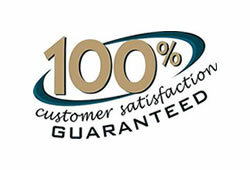 We are so confident, we offer you a 100% Guarantee! Having been in the Non-surgical Hair Replacement industry since 1991, you can imagine how many male and female hair loss sufferers we have provided our services to. We are passionate about our unique service and therefor want to ensure you receive the service you deserve. We know how difficult it is for individuals to deal with their hair loss. It’s our job to ensure you leave our clinic with a big smile on your face and feeling great about yourself once again. To prove this, we ask you not to complete the financial arrangement until you are completely satisfied on the day your hair replacement procedure is carried out. Why book yourself a Consultation? Your consultaion is completely Free of charge at all times and without any obligation whatsoever. You will be shown by your consultant, first hand how our Non-surgical hair replacement procedure is carried out. We will be able to ascertain the colour, texture and density of your hair and gauge you hair loss, to give you a firm quotation of the cost of your hair replacement. Throughout your consultation, you will learn everything you need to know, in order for you to make an informative decision on how to proceed if you so wish. You have nothing whatsoever to lose and everything to gain by attending your own Free private consultation. Book you Free no obligation private consultation Today! Our Non-surgical hair replacement process allows you to replace as much or as little hair as you want. Losing your hair as a woman, especially if you’re young or at a vulnerable time in your life, can be a catastrophic experience.